Reception of the passengers from 17h30, our crew will take care of your luggage and will help you to settle in your cabins. 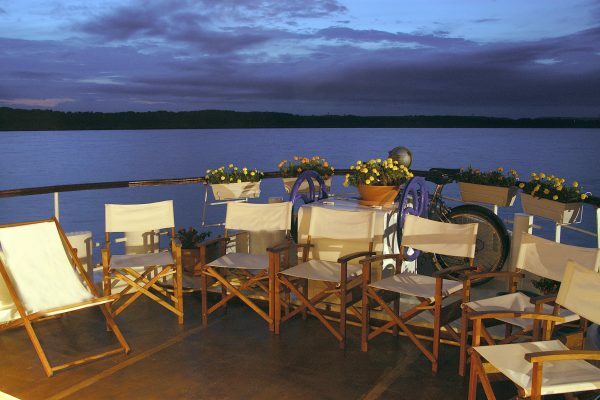 At around 18h ​​we are waiting for you on the sun deck to present your crew with a drink in hand, but also to discuss with you the program of the week, safety rules on board, the practical issues of meal times and to answer your questions. 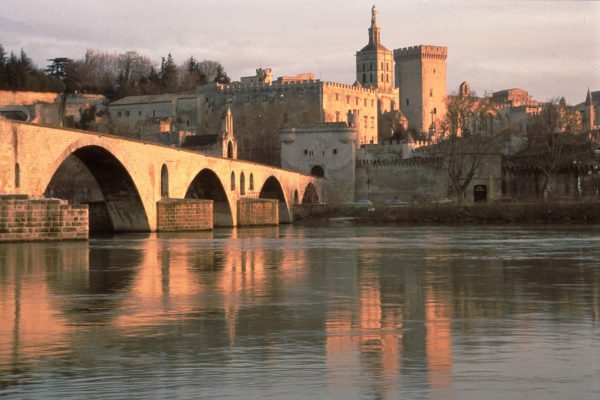 After dinner you can take a walk in Avignon (the center is 5 minutes walk) or make a nice walk along the Rhone to the famous bridge of Avignon or take your time and enjoy the sun bridge Phoenician. Pont Royal Golf Course, 18 holes, PAR 72, 6303 m. Drawn in 1992 by the famous Severiano Ballesteros himself! Picnic on the spot. Back on board we will sail to Villeneuve les Avignon. 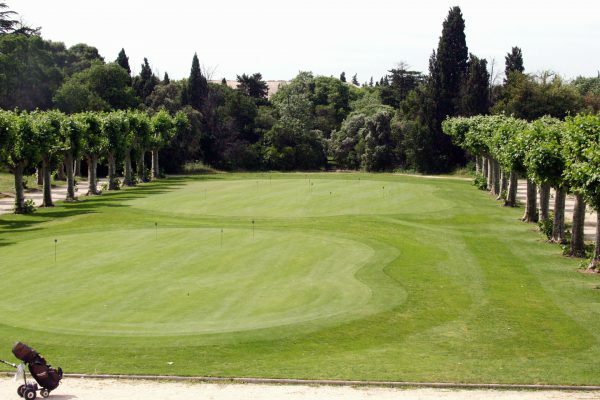 Golf Grand Avignon, 18 holes, par 72, 6046 m, has a slope of 141 white starts. It was realized by the architect Georges ROUMEAS with the help of his friend the great champion Jean GARAIALADE Charming golf provided in bunkers and parts of water. Rarely, the driving range is completely covered with water. Back on board we head for Aramon, a small peaceful village where pétanque parties, bike rides and idleness occupy the rest of the day. Servanes Golf, 18 holes, PAR 72, 6121 m. Always ahead in the ranking of French golf courses, it allows you to practice in typical Provencal landscapes. In the afternoon, we pass the large lock of Beaucaire and its 12 m drop and down the Rhone to Arles, open air museum of Provence. Golf Domaine de Manville, 18 holes, PAR 71, 5502 meters, golf is suitable for all levels, nestled in the heart of Les Baux de Provence. This afternoon, we head to the Camargue with a surprising navigation on the Rhone, the small Rhône and the Canal du Rhone in Sete. 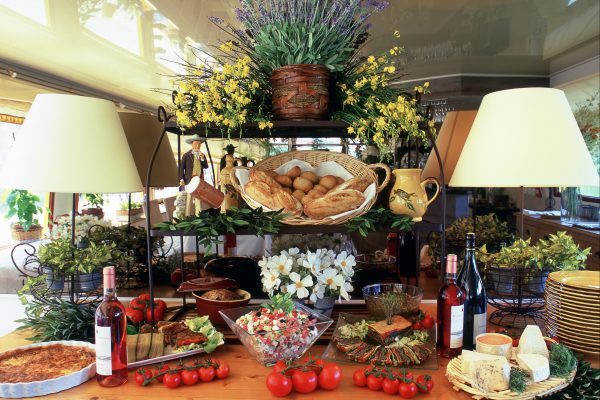 We stop at Gallician, a small village in the Gard Camargue, calm and steeped in bullfighting traditions. Golf Grande Motte, 18 holes, PAR 72, 6161 m. Designed by Robert Trent Jones Senior, this famous watery golf course winds between bulls and flamands. Our final destination is Aigues-Mortes, this fortified city of the 14th century emerging from the sands. She welcomes us for an unforgettable last festive dinner. It’s time to say goodbye but not goodbye forever, you will be transferred to the Nimes train station from 9am.